Engel is known for its great collection of coolers when it comes to the quality factor. Launched in Japan in 1962, it has served the customers for more than 60 years. Their passion to develop the premium cooler has given them a big name in the cooler industry. Driven by their passion, they offer premium features under the non-premium price tag. 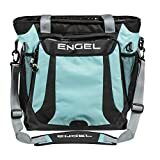 Where can you buy Engel Coolers? You can choose from a wide variety of coolers under this two category which is known as Rotomolded Coolers and Drybox. Your search for an ideal cooler will definitely end here. Engel has a great collection of products that are absolutely amazing. You can find the Hard- Sided Coolers, soft-sided coolers. Moreover, Engel has covered you if you are looking for the different size of coolers. You can find ENG 25, Eng 35, Eng 45, Eng 50, Eng 65, Eng 80, Eng 85, Eng 123, Eng 165, Eng 240, Eng 320. Besides this, their coolers are available in beautiful colors that will have your heart. Dry Ice compatable. Non-Marking rubber feet. For more Series or Models click here. Under the Hard Sided Coolers, Engel deals in Drybox series as well. You can find plenty of coolers under this category. These coolers come in different sizes and storage capacity that will definitely meet your requirements. The ice chests have a great ice retention capacity and they are strongly built. So, the questions about the durability and longevity do not arise. You can choose from Engel 13 QT, Engel 19 QT, Engel 30 QT. Coming to the Soft-Sided Coolers, Engel has a great collection of Soft-sided coolers that come in different storage capacities. Engel promises to deliver the huge quality products that are sure to last long. You can choose from simple, sobber color to a much brighter color including camos. Features multiple storage compartments on all sides with water resistant zippers. High performance soft sided cooler (hold ice up to 4 days). Waterproof full length zipper for easy access and front accessory pocket. Rugged TPU outer wall construction. Includes ergonomic shoulder strap, bottle opener and zipper lube. For more Series or Design click here. Huge Storage Space – Engel is a big name in the cooler industry. Being known for its quality product, Engel has a great potential to be the market leader in the cooler industry. Your problem of storage get’s vanished when you own an Engel Cooler. With the huge storage room, you can pack up your back for the full weekend. There’s really a lot of space and that is quite impressive. Rotomold Design – Engel manufactures the toughest and strong products in the industry. That’s the reason Engel has earned the reputation of providing a great quality product. Talking about the toughness and built design, the Engel Cooler comes with the rotomolded design. The name “Rotomolded design” is enough to show how tough the coolers are. Great Ice retaining Capacity – What matters most while looking for a cooler is the ice retaining capacity of the cooler. Engel cooler has got your covered in this aspect. You will find a thick insulated wall that is made up of polyurethane. So, Ice retention will not be a great issue when it comes to ice life provided by the Engel Coolers. ArcticVault Gasket – Besides this, the ArcticVault Gasket that comes with the Engel Ice Chest creates a strong seal between the lid and rest of the body. It allows the cold air to stay inside the cooler and the hot air gets out in the surrounding. CornerStone Feet – The Engel Coolers come with the Corner Stone Feet. This allows the cooler to prevent touching the base. People who are scared of the scratches that their coolers might get won’t have to worry now. Moreover, the non-marking elevated feet that do not allow the cooler to touch the heat also enhance the ice retaining capacity of cooler. Considering the mobility, it thus becomes quite easy to move the back and forth without any burden. One can find plenty of coolers in the hard-sided category of Engel Coolers. You can either choose from Engel Hard Sided Rotomold Coolers or Engel Dry Box Coolers. Whatever you choose, make sure that the cooler best meets your specifications and fits into your budget. Here’s a quick comparison of Engel Hard Sided Rotomold Coolers and Engel Dry Box Coolers. Durability – Engel manufactures the toughest and strong coolers. The durability of Engel Coolers is not even questionable. The Engel coolers are designed with the rotomolded technology that makes it more durable, indestructible. Whether you sit and relax on the cooler or make it prone to some accident, you will not see anything worth regretting. Mobility – For the purpose of mobility, these coolers come with the side ropes and handles. The absence of hard wheels to make carrying or moving the cooler more convenient feels deeply. There might be times you have to carry the coolers on the shoulders which seems too much pain. But we can’t anything about it unless the Engel starts focussing more on the mobility. Appearance – There are a plethora of options to choose from that fits your standard sizes. Moreover, these coolers come in beautiful and vibrant colors that will give you another sort of joy. You can choose from White, Tan, Haze Grey, Seafoam, Arctic Blue, and Camo. So, if these colors do not attract you, there’s nothing you can do about it. Engel does not offer customization you have to be content with what is being offered to you. No personal design, no personal pattern or color will be offered to you. Cost – With the premium features being offered, the Engel Ice Chest is relatively cheaper under the category of premium brands. 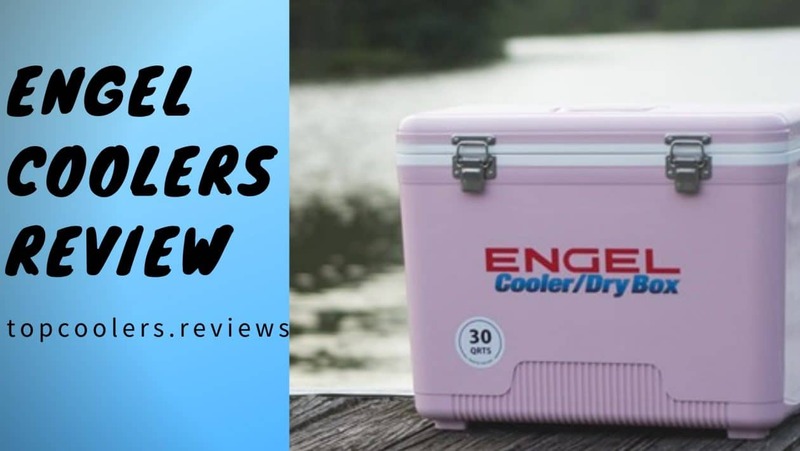 While the other brands charge much higher for similar features, Engel coolers come as a savior for those who are looking for a relatively cheaper price tag. Insulation Ability – Designed with the rotomolded technology, the Engel coolers can retain the ice more than your expectations. Besides this, the 2-inch insulated wall that is made up of polyurethane expands the ice life by capturing the cold air inside the cooler. Insulation ability is also influenced by the ArcticVault Gasket that creates a strong seal between the lid and the rest of the body. We have already talked about the ice retaining capacity of all the coolers. We are much impressed by the insulation ability of Engel Ice Chest. Now, we are well familiar with the Hard Sided Coolers of Engel and how these coolers differ from each other. Apart from manufacturing Hard Sided Coolers, Engel deals in Soft Sided Coolers as well. Let’s come to find out the comparison among the Soft Sided Coolers. Thick Layer Insulation- The soft-sided coolers come with 1-inch of the thick layer that is responsible for the ice retaining capacity of coolers. The thick layer captures and lock the cold air inside the cooler and does not let it escape into the normal surroundings. This is due to the thick layer insulation foam that keeps the ice cold for a longer period of time. Strong Build- The soft-sided coolers are build using 500-denier polyester that is wear resistant and rugged. The importance of build quality is realized when you find yourself surrounded by plants and trees and there is a higher chance of coolers to tear out. High Storage Capacity- High Storage Capacity of soft-sided coolers is another impressive thing about the soft-sided coolers. These coolers have great storage capacity and you won’t run out of space. Even the smaller models have the storage capacity of 23 quarts and as you move on to larger models, you will definitely find the storage capacity that you need the most. Engel Coolers are the toughest, strongest products manufactured by the Engel. These build qualities are not sufficed when someone steps out to purchase a cooler. If a brand has to top the market, the coolers must have a great ice retention period. Let’s check how the Engel Cooler performs when it comes to ice retention life. Engel Coolers has the greatest ice retention life. For those who want to go on a trip for a week, the Engel Coolers is your perfect companion. With more than 8 days of the ice retention period, the Engel has shaken the cooler industry. The toughest cooler offers the toughest performance. We are pretty much amazed by the ice retention of Engel Coolers. Let’s check the ice life of various Engel Cooler models. Since we all know that due to the climatic variations, you might see some variations in the ice retaining capacity. The ice retaining capacity is also influenced by some other factors such as the quantity of ice put inside the cooler, the number of times the cooler was open. Engel 25, the smallest model, has great ice retaining while Engel 320 can retain the ice for more than a week. So, if you are looking for the right spot to buy the Engel Coolers, we recommend you to visit the Amazon website. 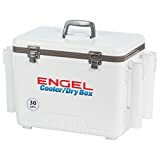 Amazon is the only website that’s providing the Engel Ice Chest at the best minimum price. 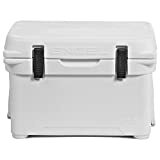 Moreover, all the different sizes and different colors of the coolers are available to be grabbed only at Amazon. You can expect free and fast shipping from Amazon. There are more possible chances that you might save some money to put it to use somewhere else. Even if you wish to buy from the original store, you can visit the website of Engel Coolers and grab your desired model. 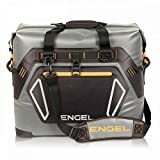 If you want to know more about the coolers, there are a lot of reviews made by people on Amazon as well as Engel’s website. Engel coolers give a tough competition to the other premium brands. The cooler come with the premium features and they boast of ice retention, strong build quality. We are pretty amazed by the durability and exceptional ice retaining the capacity of the coolers. There are many other brands that provide similar features at the much higher price and this is where the Engel Cooler takes the lead. Keeping the price factor in mind, they are offering coolers at an “affordable price”. Feel free to reach us out. In case if you want some suggestions or want us to review a particular cooler, we would be more than pleased to connect with you.